In terms of wildlife, landscapes, climate, cuisine and culture, a Vietnam cruise provides a look into this diverse country. Vietnam is truly a country of vibrancy and beauty from the northern mountain regions to central highland to the deltas along the vast coast. The forests are home to wildcats and small primates while crocodiles swim the rivers. Vietnam is home to about 84 million people and people migrating from north and south, from urban to rural areas are increasing by the numbers. 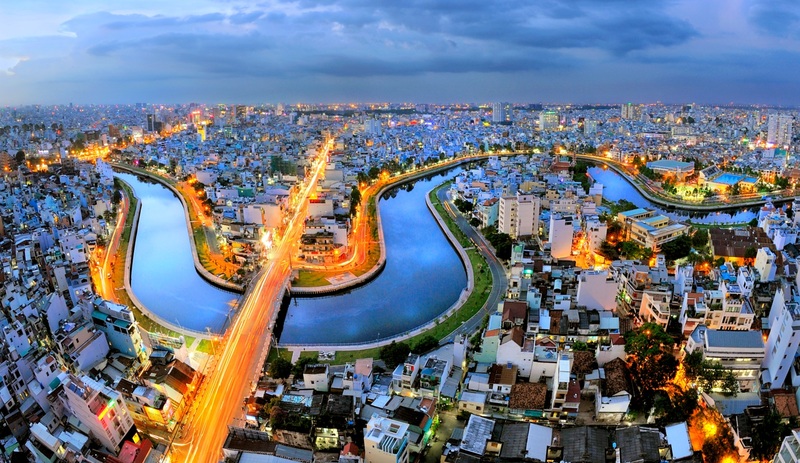 The capital of Vietnam is Hanoi, which is located along the Red River in the North, while Ho Chi Minh City along the Mekong River delta in the south is the country’s chief cultural and economic centre. A tour of this city offers a source of countless delights, from the sweet southern food to the theatre and opera productions, so make sure to include Ho Chi Minh in your visit to Vietnam. Vietnam was colonized for a period of time, but despite of this, it has developed a rich and one-of-a-kind culture, a mix of historical Chinese and modern Western influences. Vietnam’s official language is Vietnamese of Kinh, the countries numerous ethnic minorities speak different kinds of languages. English is becoming a popular second language as well as Chinese, French, Russian and a handful of mountain-area languages. With kin groups and small communities as a central focus, many of the traditional groups that make highlands and mountains their home still live in very traditional lifestyles. The country’s indigenous people found on the central highlands also produce beautiful folk art. The men weave baskets and mats, while the women weave blankets and clothing. Confucianism, Taoism and Buddhism have made an impact on the philosophies and belief of the Vietnamese people, even though more than two-thirds of the entire population does not claim religion. Throughout the years, these religions have been mixed together and simplified to create a folk religion called Tam Giao that was shared by the majority of the population. Temperatures here are basically hot and humid and most of the time averaging in the high 80s, however, the northwest highlands can be much cooler than other areas of the country, with temperatures sometimes going down below zero. The coastal areas on the other hand usually cool down by January, making it an amazing month for a wonderful cruise. Vietnam is houses a wide range of diverse wildlife, from the elephants and tapirs that roam around the central highlands to the crocodiles that prowl in lakes and rivers. The forests houses tigers, snow leopards, black bears, sun bears, various species of deer and wild oxen and even small creatures such as porcupines, other, skunks and flying squirrels. If you have time in your hands to a little bird watching during your Vietnam cruise, the country offers around 600 species of land and water birds found in the its southern part.